You are here: Home / Clip Chart / Clip Chart- Reward Freebies! Nineteen days in, and going strong! My class is super sweet and working hard, despite excess HEAT warnings this week. (Yeah, 115 degrees makes recess FUN!!) 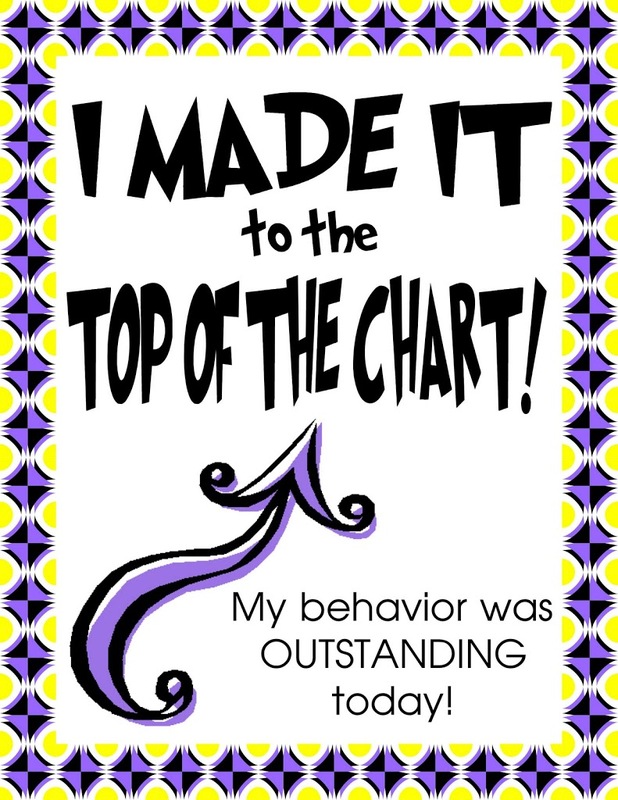 My clip chart has been really effective in helping my little stinkers to make better choices. 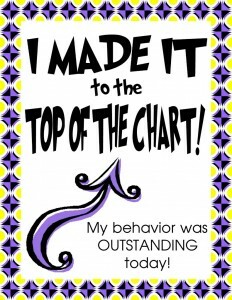 I have had some kiddos reach “Outstanding” and decided I wanted to make some little certificates for them to take home. So here they are! They are a little “spacey” to go with my space theme, but I think they would probably be generic enough for everyone. Things get hectic at the end of the day, so I made them nice and simple little handouts. They print 4 to a page. 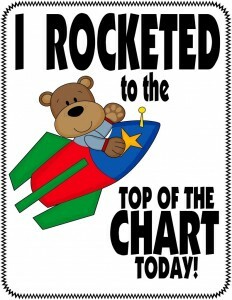 Love to Scrappin’ Doodles for the Space Bear!! Happy Friday everyone! Update: I have no idea where the pic of the spaceship file went…. but it is cute!